Eugene Lemay standing in front of one of his works. 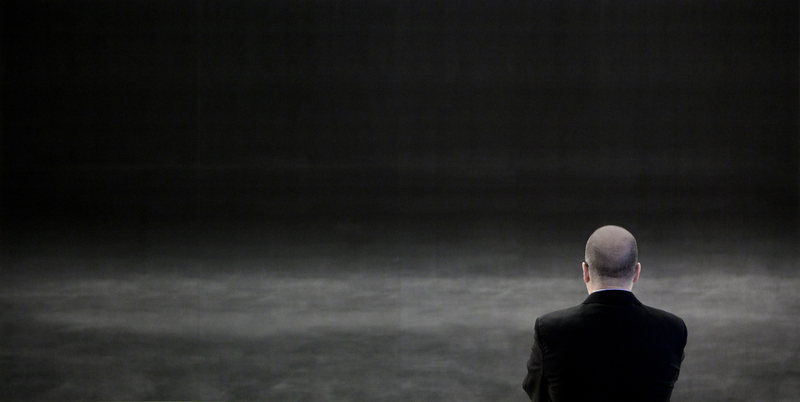 Art-Rated: The name of the exhibition, Navigator, comes from your time spent as a navigator in the Israeli army. Are these nocturne landscapes depicting specific locations or landmarks? 2011, Acrylic on Canvas, 26 inch diameter. 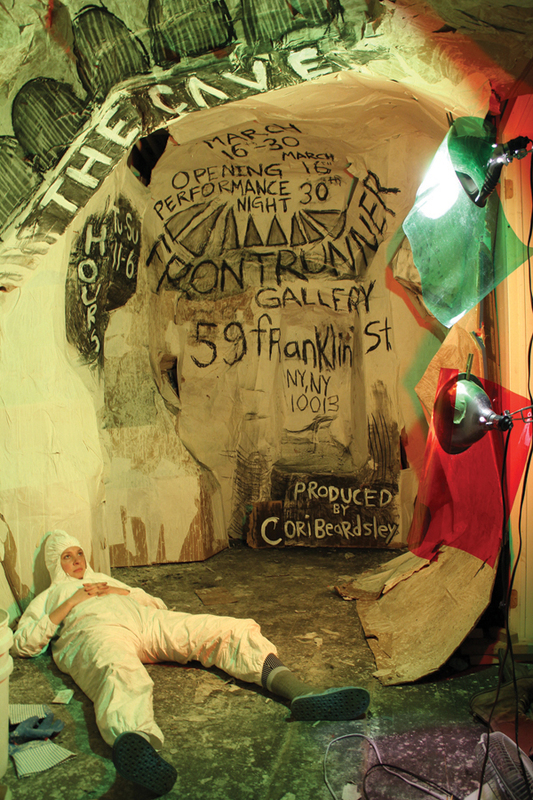 Artist Cori Beardsley, along with 20 other artists, performers and musicians have constructed The Cave in the front exhibition space of Frontrunner Gallery and in its project space, both at 59 Franklin St in TriBeca, NYC. The group show, featuring site-specific installations, paintings, drawings, soundscapes, projections, music and theater opens tomorrow evening March 16th, from 6-9 pm. Art-Rated recently caught up with Cori to discuss the project, process and ideas behind how the project came to evolve. You are Nature is Brooklyn-based artist Greg Lindquist’s most recent body of work currently on view at Elizabeth Harris Gallery. It is comprised of over 15 paintings completed since 2011, as well as two site specific wall paintings. 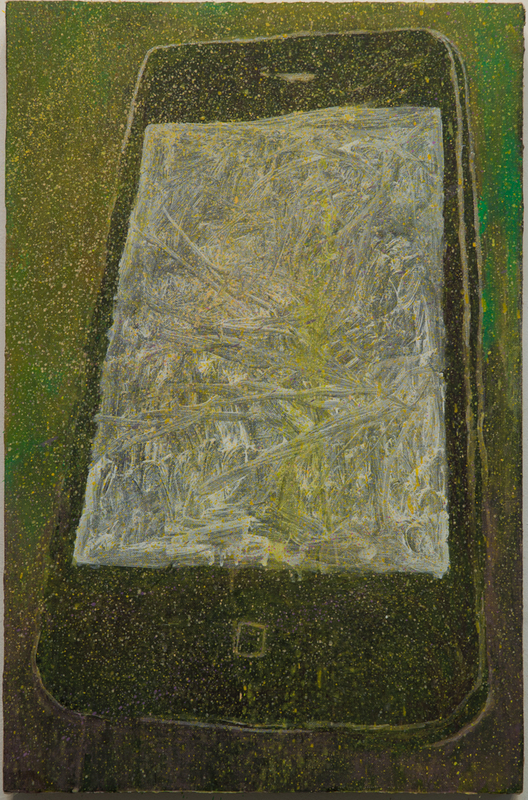 In a departure from Lindquist’s earlier work, this show features pieces more decidedly about painterly exploration than his prior interest in smart picture making. While intellect is surely habitual concern for the artist, the hallmark of this show is his temporary suspension of that theoretical backdrop to find enjoyment and intrigue in the act of painting.